THIS IS A MENS JACKET SIZE SMALL. Authentic Coach Mens NYLON FIELD JACKET. COACH calls this is Navy but it is very dark and looks black. 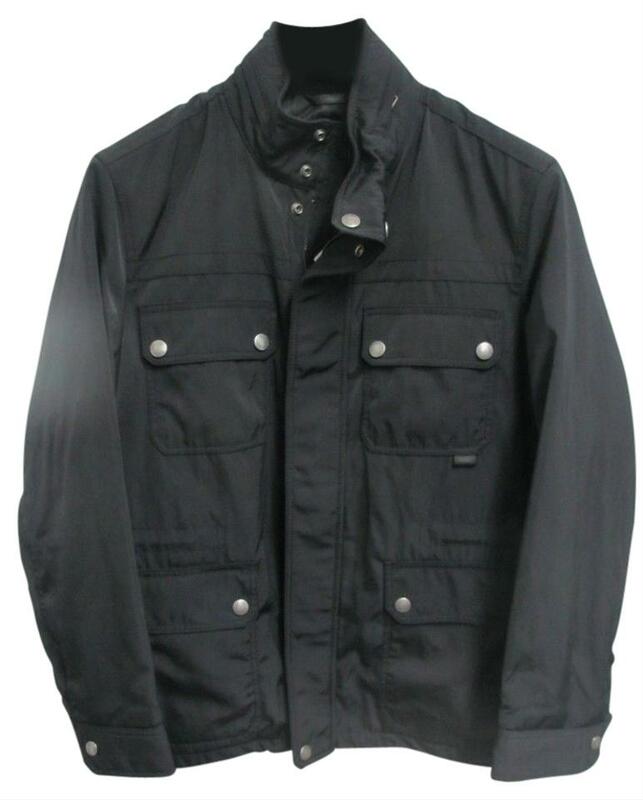 if you are looking for a Navy Blue jacket... this will NOT LOOK BLUE. Lined in signature Coach lining with inside adjust ties at waist and bottom hem. 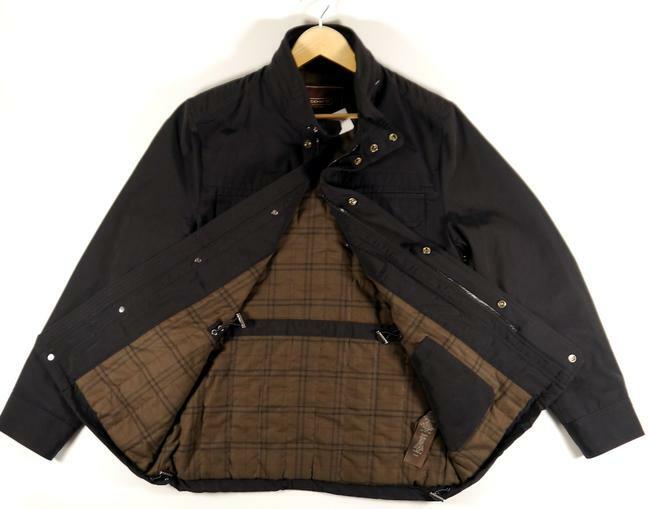 It has a full zip front with hidden zipper snaps over closure. 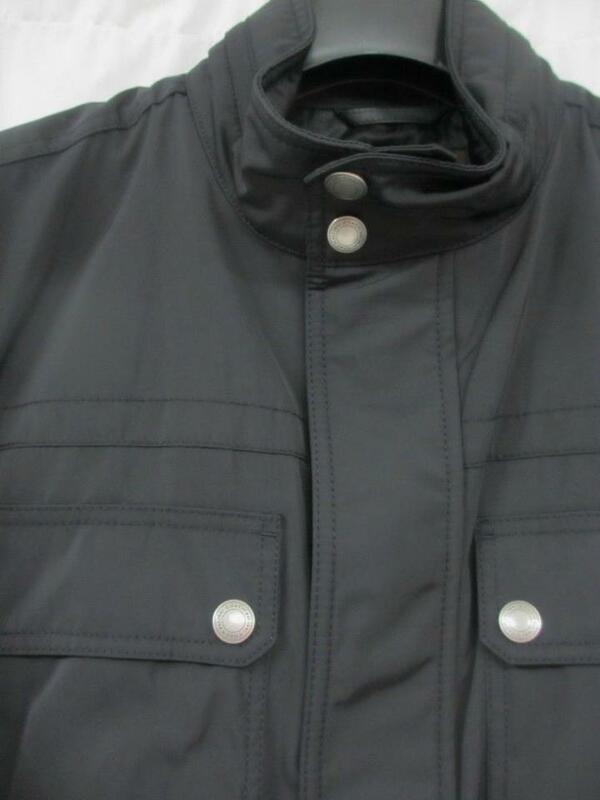 It double snaps at front of collar and the back of the collar has zip away hood. 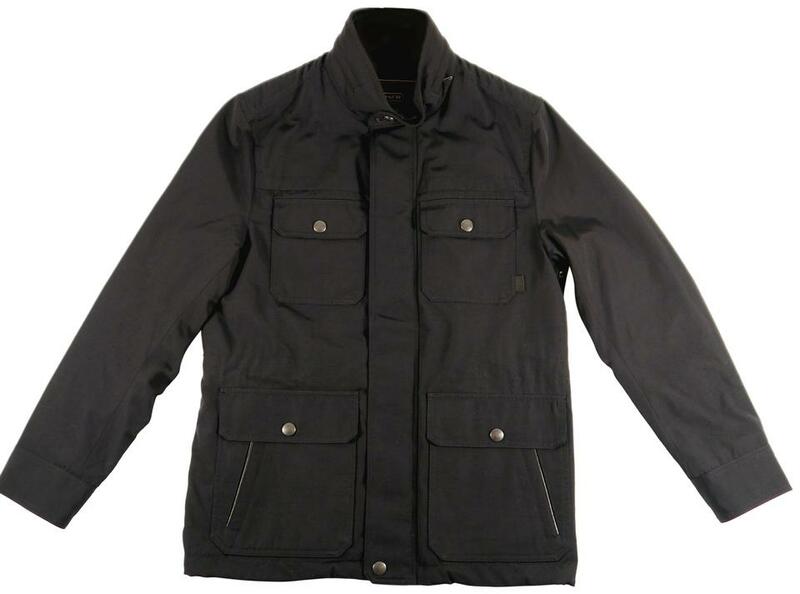 It features front flap chest pockets, flap hip pockets and slip in pockets at hips. All silver signature logo snaps bring in the details. The sleeves have snap closures also. 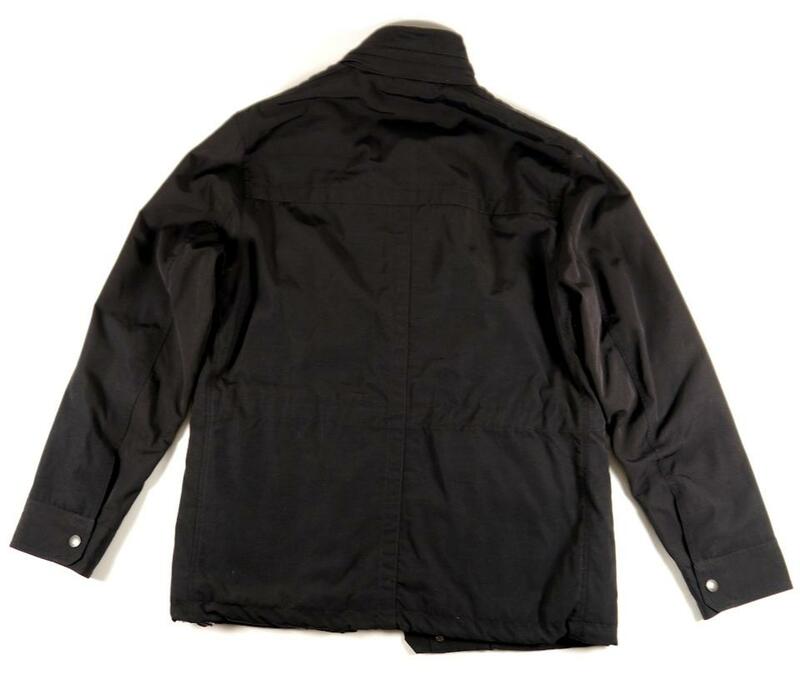 It is made of polyester outer shell and polyester lining. 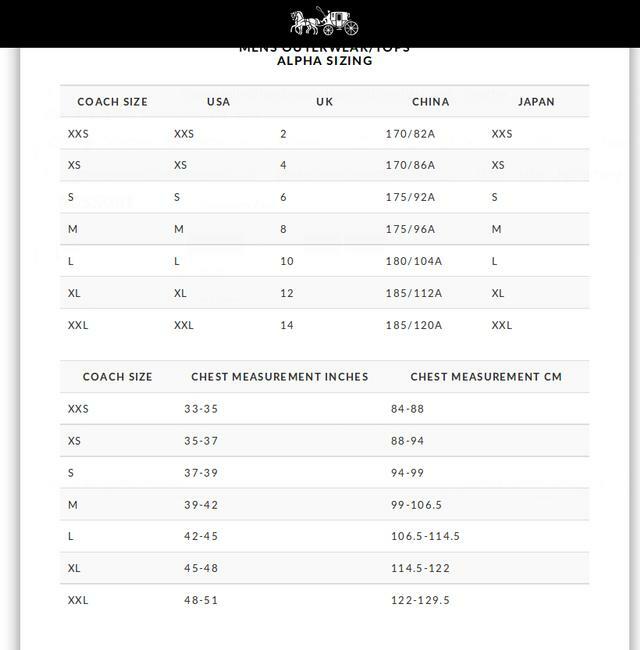 This jacket is labeled as "S" and the chest measurements are confirmed to be 37 to 39 inches as listed on the Coach men's sizing chart shown in the photos of this listing. 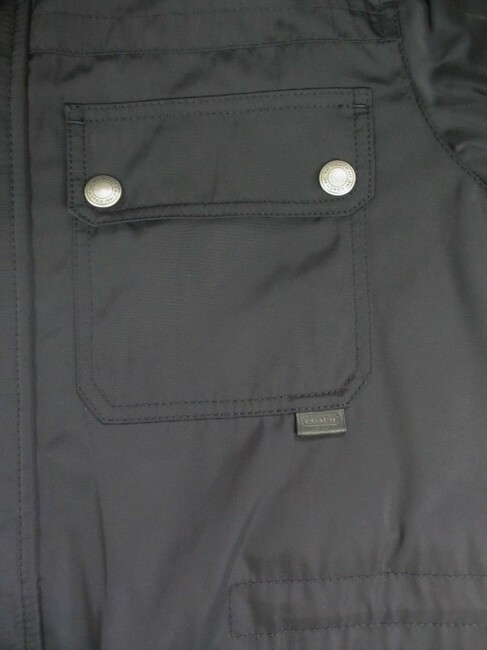 This jacket is from a Coach Factory store.